The My Little Workshop is a fun, hands-on way for young minds to learn about tools, logic and counting. 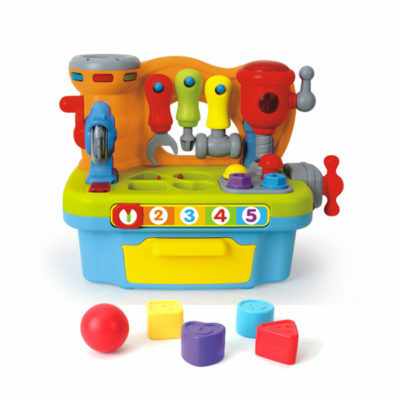 The interactive workbench makes sounds with the use of each tool and includes a chainsaw, electric drill, bench clamp, wrench, screwdriver, hammer and toy screws and nails. 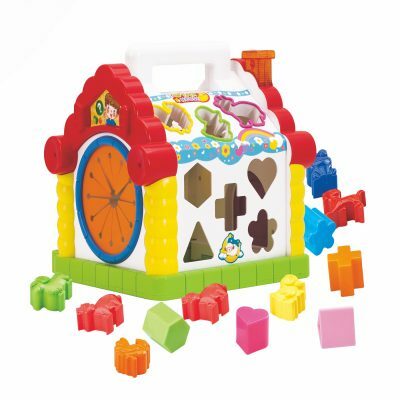 There is also 4 shape blocks and 5 wonderful music tunes to enjoy. 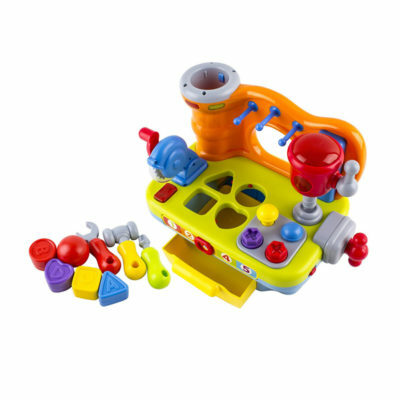 It’s fun to play and learn with tools! 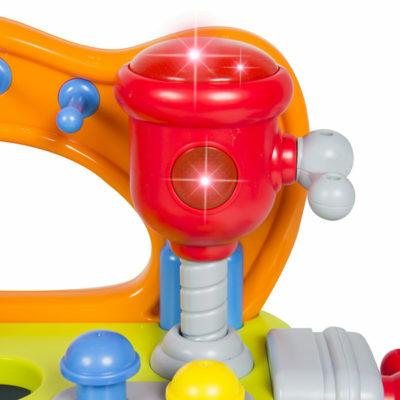 Toy Saw: Press the red handle and watch the saw rotate with cool sound effects and flashing lights. Toy Drill: Turn the handle of the drill and watch the drill operate with cool sound effects and flashing lights. 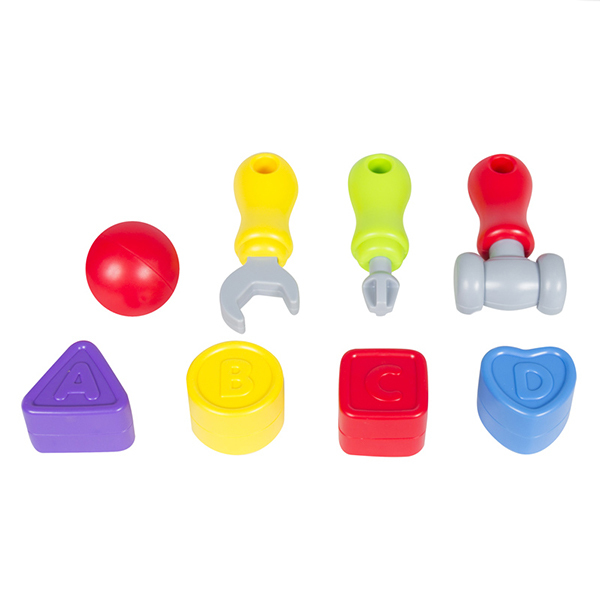 Bench Clamp: Twist and rotate the handle to play a fun sound effect! 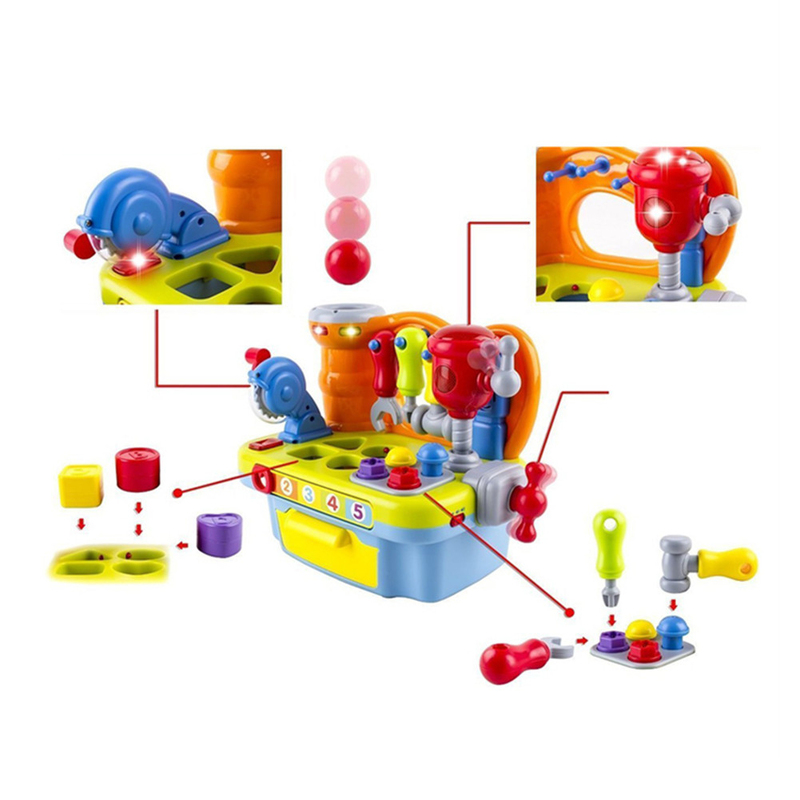 Ruler: Slide the pointer to a number and the workbench will call out the corresponding number while rewarding your little one with music and flashing lights. 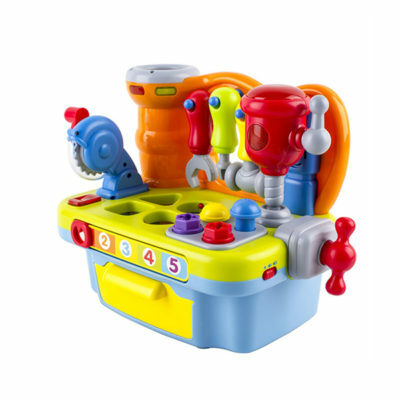 Toy Screws & Nails: Use the wrench or screwdriver to turn the screws and play cool sound effects. 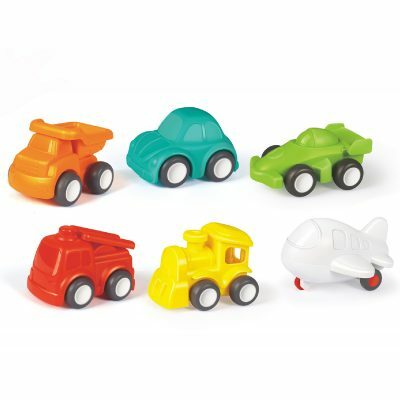 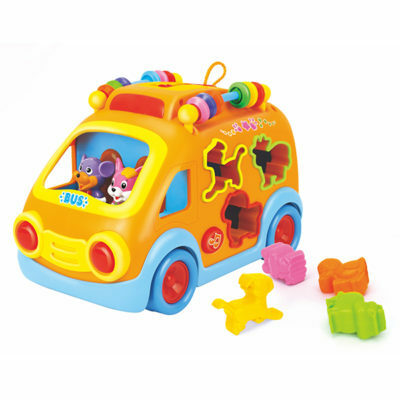 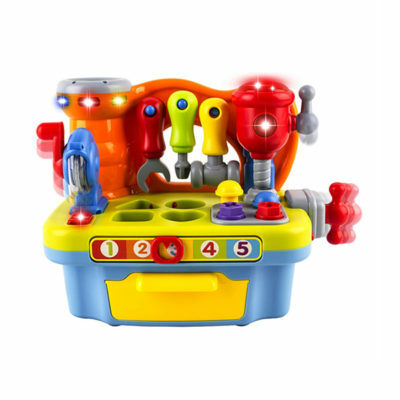 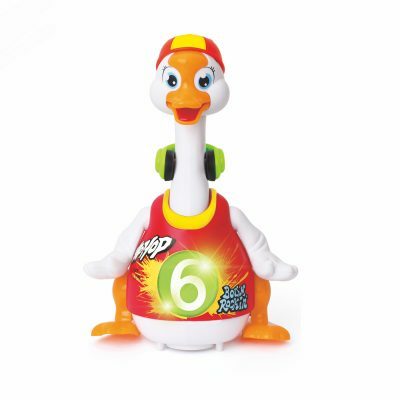 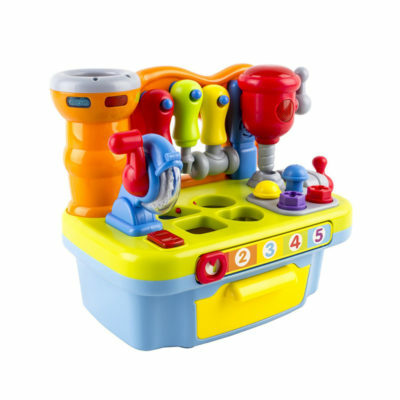 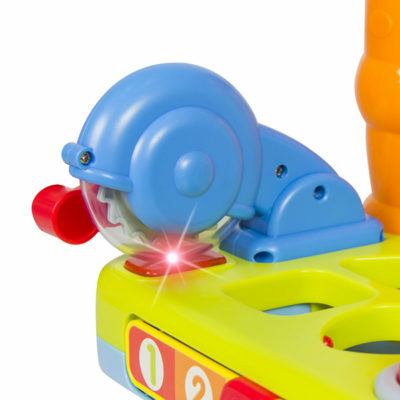 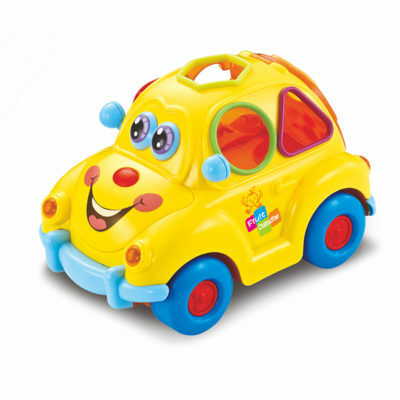 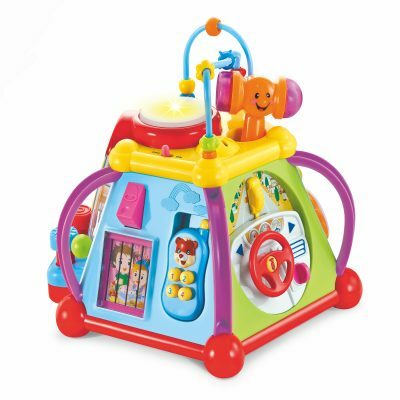 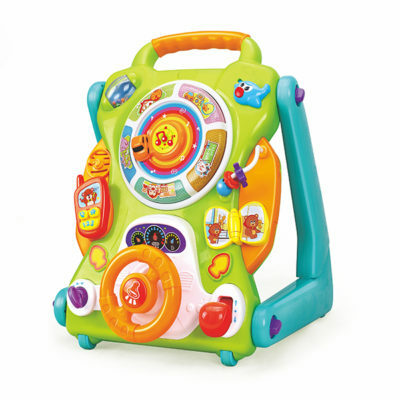 When your child uses the toy hammer, they’ll love the sounds the workbench makes with flashing lights too! Shape Matching: Fit the blocks to the corresponding holes on the workbench to activate associated sound effects. 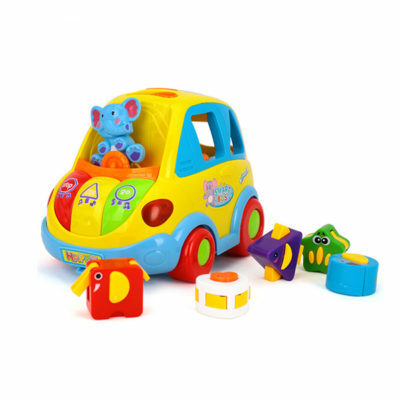 – you notify our Customer Service Team within fourteen (14) calendar days of the date of delivery of your Product.